It is slightly different than windows setup. we can use PIP to install aws-cli on Linux or mac machine. PIP what does it mean, it is a python package manager and it can also use to remove or upgrade python package. 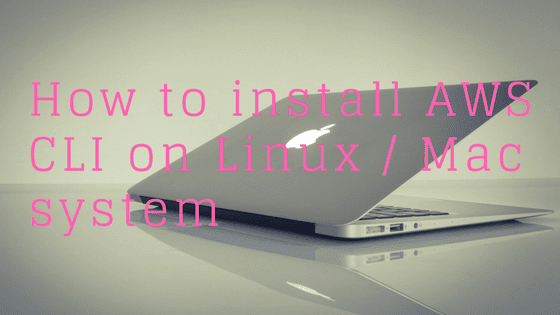 Step 1: Install pip on Linux machine using command below. apt-get is a package manager for Ubuntu. Note: If you're using Amazon Linux which is RedHat-based then use yum not apt-get. You are done. To verify instillation check version by using command below. If you can see output below then it's verified. Please note version can be changed as per latest version released.